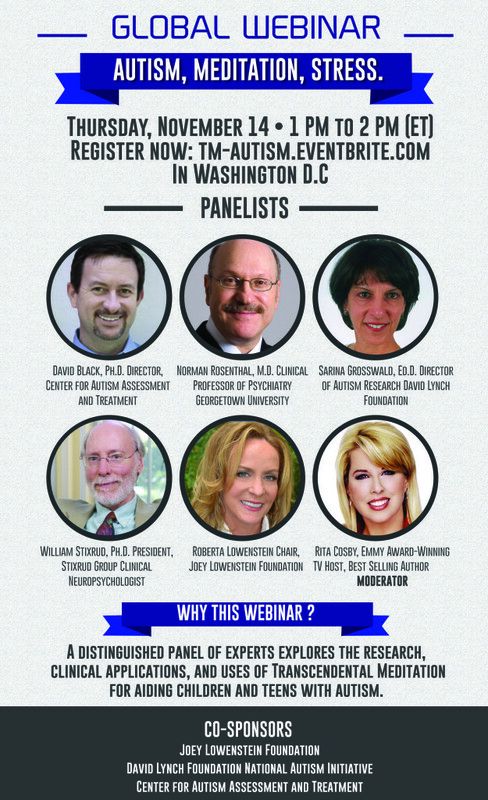 Along with the David Lynch Foundation and the Center for Autism Assessment and Treatment, the JL Foundation co-sponsored a Global Webinar on Autism, Meditation and Stress in Washington DC on November 14, 2013. Click here to see the webinar replay now! Television news anchor and correspondent, radio host, and best selling author, who is currently a special correspondent for the CBS syndicated program Inside Edition. Pediatric neuropsychologist, scientist, and director of the Center for Autism Assessment and Treatment in Silver Spring, Maryland, whose research has focused on the best outcomes among children and adolescents with autism spectrum disorders. George Washington University-trained expert in cognitive learning and president of SJ Grosswald and Associates, a consulting firm in medical education in Arlington, Virginia, with a focus on improving stress-related learning disorders. Chair and Trustee, Joey Lowenstein Foundation (JLF); mother of Joey Lowenstein, the 16-year-old young man with ASD who has been practicing Transcendental Meditation for two years and who inspired the launch of the JLF (joeylowensteinfoundation.org). Clinical Professor of Psychiatry, Georgetown University School of Medicine, psychiatrist, medical researcher, and best-selling author of Transcendence & The Gift of Adversity. Center for Autism Assessment and Treatment. The webinar is full, I would really love to see the recording if possible. 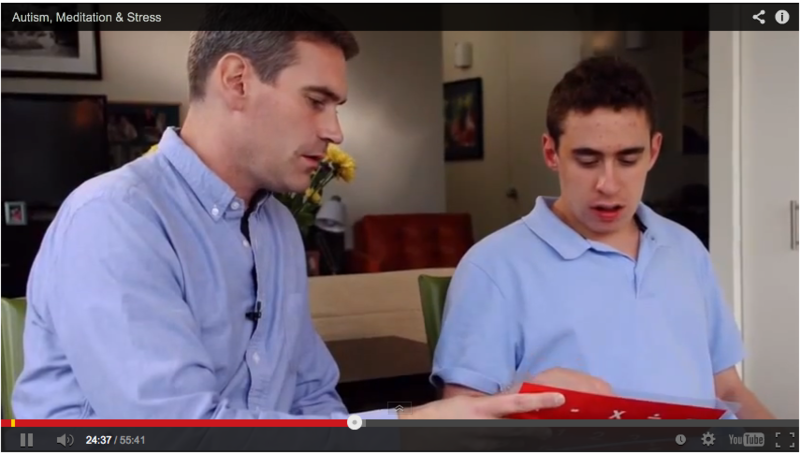 Friends, I have known Joey Lowenstein and his Mom for years and have been amazed by his progress. There is hope for those with autism. Please, take a look at the Joey Lowenstein Foundation, JL Foundation.